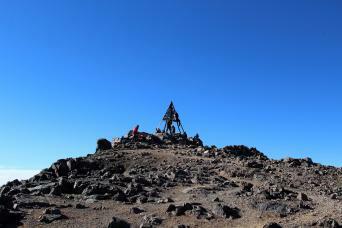 This selection of walking holiday adventures are perfect for escaping the cold winter months. The Canary Islands offer perfect walking conditions for a moderate to strenuous grade of walking tour, or Morocco is a beautiful year-round destination for sights, sounds and a sensory experience you will never forget! Many destinations better known for their summer beach resorts offer excellent winter hiking opportunities with temperatures more favourable for a bit of activity, and the benefit of beating the peak-season crowds to enjoy a more relaxed and authentic experience. 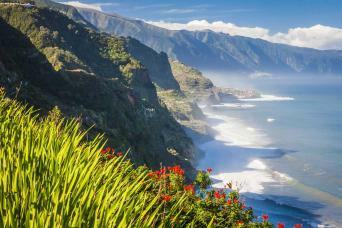 The flower-filled island of Madeira is full of contrasts; the colonial charm of the towns and villages, the rugged and dramatic coastal scenery, the explosion of colours of the local flora and fauna, its lush green interior and the levadas, the traditional irrigation channels which form a network of paths across this sub-tropical island. 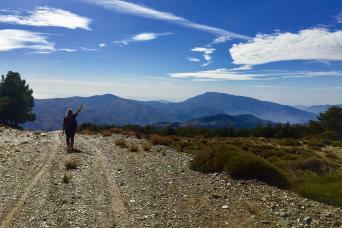 The mountains of Las Alpujarras beg to be explored on foot; walk between picturesque white-washed villages set against the impressive backdrop of the snow-capped Sierra Nevada. Your Andalucian adventure starts and ends in lovely Granada, home to the stunning Alhambra palace, with its Moorish mosaics and fountain-filled gardens. 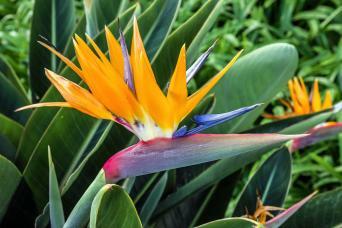 Discover the botanical paradise of La Gomera on foot. 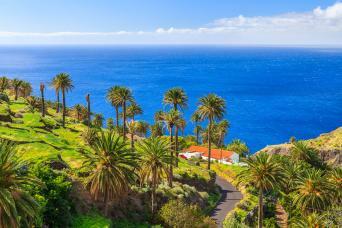 La Gomera, the greenest of the Canary Islands, lies just 30 kilometres off the coast of Tenerife, but is a world away in terms of atmosphere and landscape. 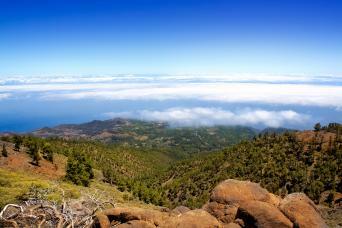 La Palma is known as ‘La Isla Bonita’ for good reason; this beautiful isle is a UNESCO Biosphere Reserve, filled with deep gorges, laurel forests, dramatic cliffs and coastline. 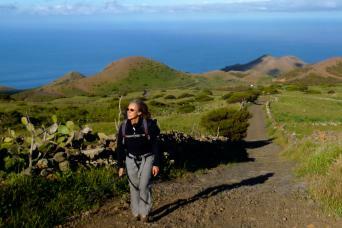 You can easily explore all of this thanks to La Palma’s superb network of walking trails. Follow levada trails around Madeira's South West and enjoy the stunning green, mountainous scenery of this unique island. The remarkable island outpost of El Hierro is perched on the westernmost outreaches of Europe; a true Atlantic gem with a rare sleepy charm and fantastic walking trails. Until Columbus set sail, El Hierro was seen as the ‘Ends of the Earth’, and still remains one of the least-visited of the Canary Islands. Now a UNESCO Biosphere Reserve, 60% of its territory is protected to preserve El Hierro’s natural and cultural diversity. 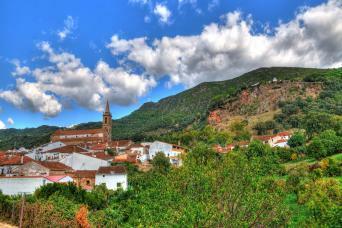 Follow ancient mule tracks and cobbled paths through the rolling hills, woodlands, lush pastures, and orchards of the Sierra de Aracena National Park, with overnight stays in the sleepy and undiscovered whitewashed villages of Los Marines, Cortelazor and Alajar. 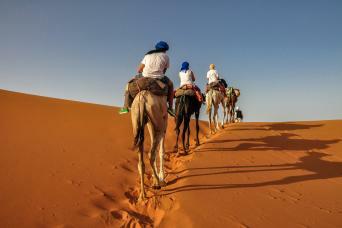 Discover the bustling cities of Fez and Marrakech, the Sahara Desert, the dramatic Todra Gorge, the Atlas Mountains and the charming coastal town of Essaouira on this comprehensive two week tour of Moroccco. 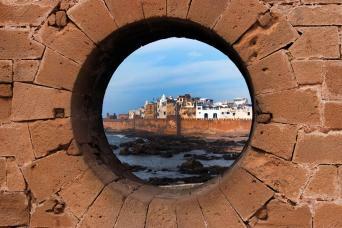 You will meet Morocco’s people, experience its culture and explore its landscapes. A magical cultural combination of visits to two of Morocco’s best-loved cities together with spectacular walking with a personal guide in the High Atlas mountains, staying at luxurious traditional properties. Combine two nights in Marrakech with memorable walking amongst the mountain peaks of the High Atlas mountains and a summit of North Africa’s highest peak, Mount Toubkal.